Hotels with a hot tub for you and a pool for the kids. Plan a family vacation that will keep both you and your kids happy. The perfect family vacation starts with the perfect hotel. A place that you can comfortably call home during your trip, a place that has a plethora of amenities to keep the kids entertained, and maybe even some things that the adults can enjoy too. In Park City, the best family-friendly hotels are close to the attractions of the town, welcome your kids with open arms, and treat mom and dad like a king and queen. 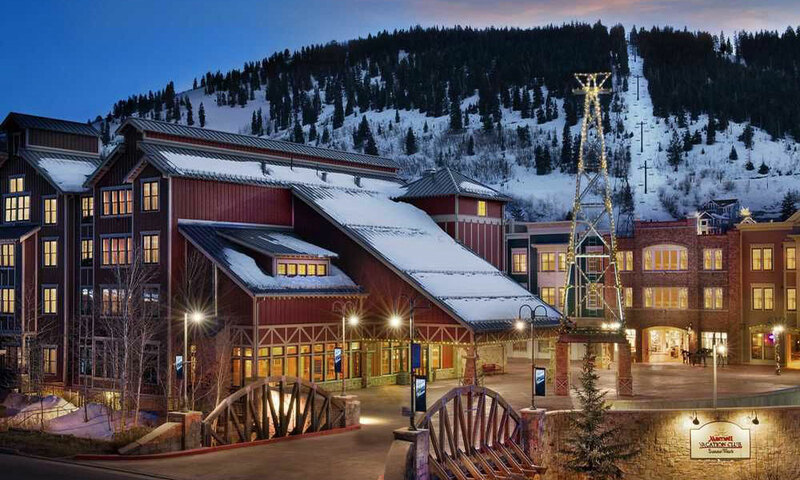 Located within the Canyons Village Base Area at Park City Mountain, the Grand Summit Hotel, a AAA four-diamond resort, has unparalleled access to the mountain and ski school. 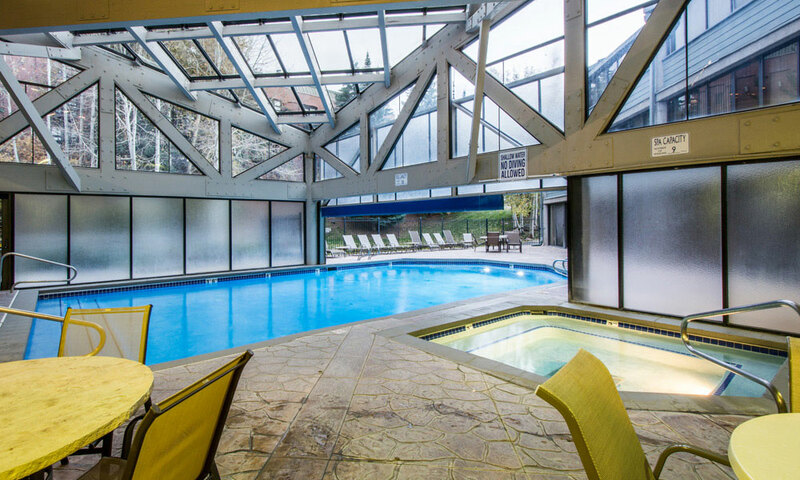 With one of the best pools in Park City, kids can splash around while you watch them from one of three nearby hot tubs. Afterward, head to Red Tail Grill for a selection of burgers, chicken, and bar food, plus a kid’s menu that has grilled cheese, chicken fingers, and pasta. 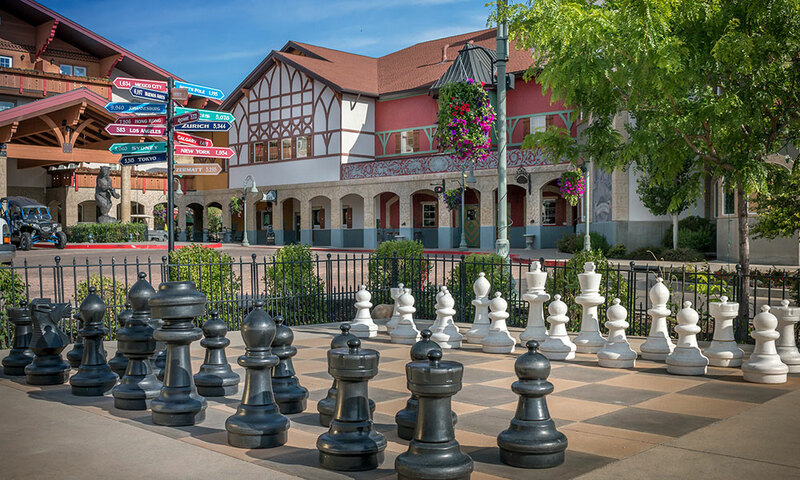 This hotel has everything you could want on a vacation including the nearby plaza, which has gear shops and restaurants, a free ski valet service, and even a spa. The spacious multi-bedroom villas at Marriott’s Summit Watch are ideal for a family getaway. Spread out in a place you can truly call home, with a spacious living room, a fireplace, and a kitchen, ideally located on Park City’s Main Street. You can walk to the most popular restaurants in town, including Vinto Pizzeria and Davnaza’s, or you can cross the Main Street Bridge to the Town Lift for the quickest access to skiing. After a day on the slopes, keep your kids entertained in the luxurious indoor/outdoor pool or in the game room, which has everything from oversized chess to air hockey. Be sure to check the event calendar, as the hotel often hosts paint nights and more. 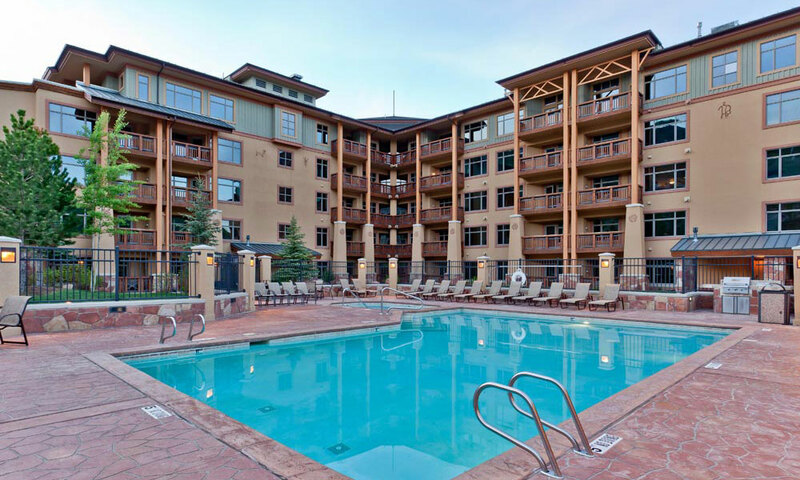 This classic ski condo-hotel is located just across the parking lot from the base of Park City Mountain Resort and within spitting distance of Main Street. The large condos at the Silver King Hotel have the amenities of home, including cozy fireplaces, comfortable living rooms, kitchens, and private bedrooms, plus a plethora of additional family-friendly luxuries such as a large heated indoor/outdoor pool and a game room with a pool table and arcade games. Luxurious, beautiful, and convenient. 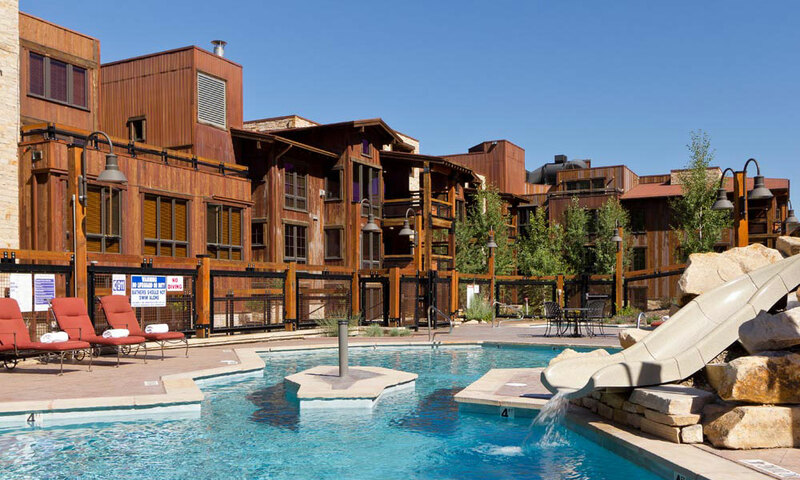 The unbelievable condos at the Silver Baron Lodge are a wonderful place to vacation to, close to Deer Valley Resort. With well-appointed décor, walk to slope access, and phenomenal views, it truly feels like an escape. The kids will be happy too. In addition to the nearby skiing, this lodge has a large pool with a slide and daily arts and crafts. Plus, during the winter, the whole family can enjoy a fantastic included breakfast to start the day. Staying here is sure to make everyone in your group happy. Ski-in/ski-out to both the gondola and the Orange Bubble Express from this premier lodge. Situated in the heart of Canyons Village, everything from ski school to a range of fabulous restaurants are all steps away. Within the walls of the Sundial Lodge, there is plenty for both the kids and adults in your group. Head to the third-floor hot tub, plunge pool, and fire pit with luxurious mountain views after a day on the slopes. Then curl up with a good book or movie on the couch in front of the in-unit fireplace. The Montage Deer Valley is hands down the best resort in Park City and their service doesn’t skimp when it comes to the kiddos either. 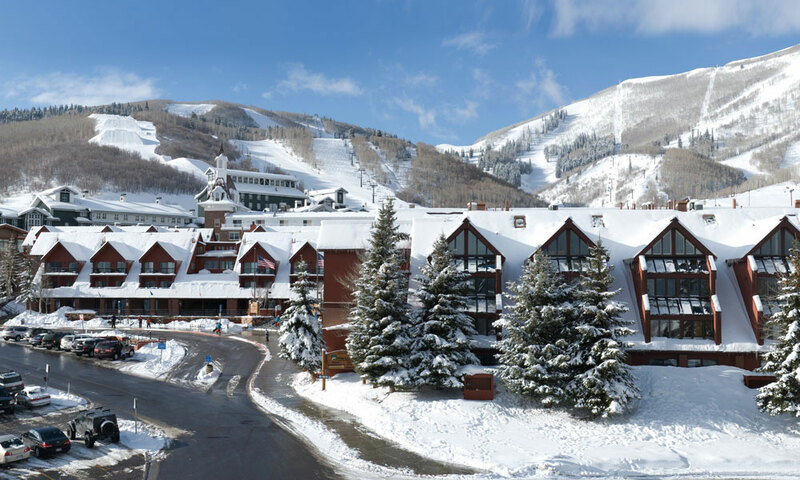 Tucked into the base area of Deer Valley, this hotel has unbeatable ski-in/ski-out access. 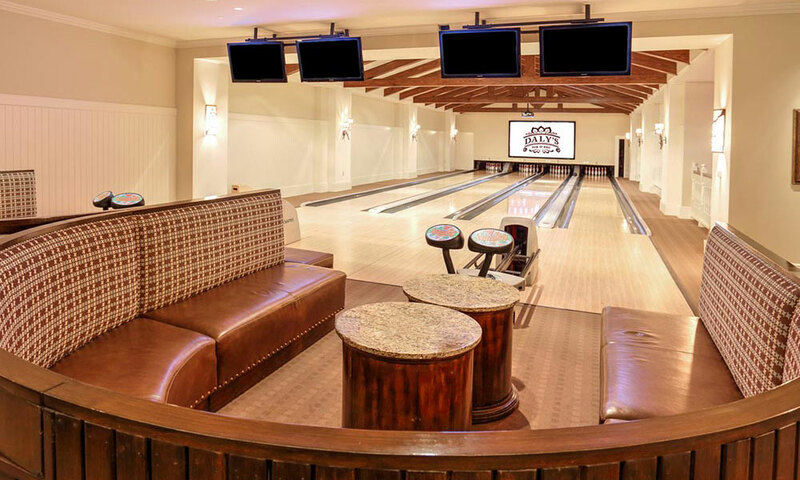 After a day on the slopes, explore the over-the-top amenities throughout the property, including a bowling alley, arcade games, nightly s’mores and plenty of family-friendly dining options. The absolute best amenity at the Montage is the Canine Ambassador. Twice a day, kids (and adults) can meet the hotel’s two Bernese Mountain Dogs, which is sure to brighten your day. As one of the newest properties in town, this resort is sure to take your breath away. The rooms feel contemporary and are equipped with kitchens and private decks, some with private hot tubs. 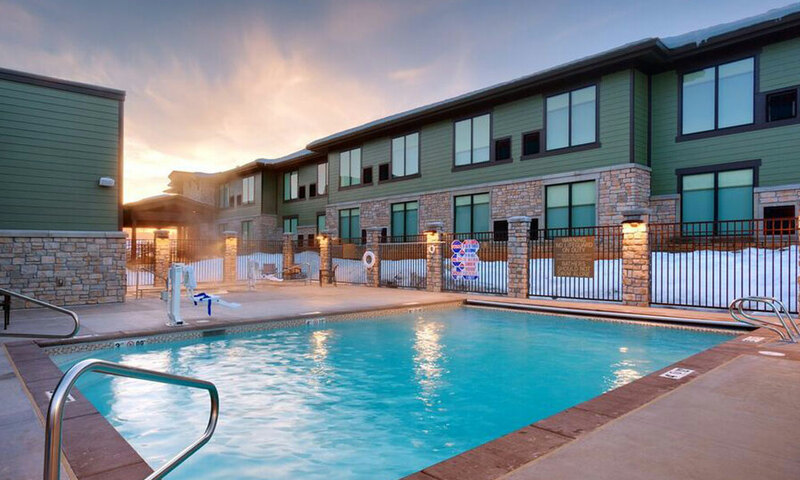 It’s ideal for kids, with an outdoor pool and hot tub, a location that is a short drive from all of Park City’s activities, and spacious accommodations with large living areas that are great for family time. Backing the Swaner Preserve, there is plenty of nature you can spot right out your door plus guided wildlife hikes to go on. In addition, there are plenty of family-friendly activities within walking distance, including Maxwell’s Pizzeria, the Utah Olympic Park, and Jupiter Bowl. Featuring a wide range of quintessential ski condos, this slightly-older property has a location that can’t be beaten. 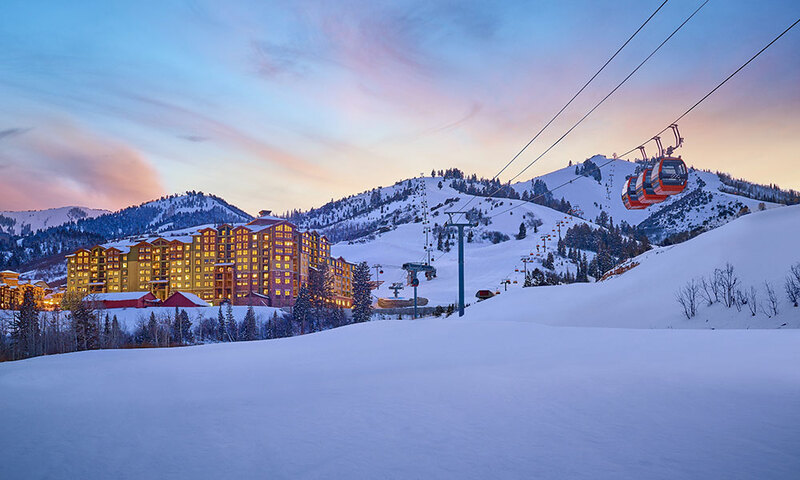 Easily ski-out on to the slopes of Park City Mountain Resort or explore the village directly out the door. The Lodge at the Mountain Village is ideal for families. In addition to having multi-bedroom condos with the luxuries of home, everything you would want to explore in Park City is within a short walk. The mountain’s ice skating rink is in the plaza outside the hotel, Main Street is a short shuttle ride away, and there are plenty of gear rental shops and restaurants throughout the village. This Swiss-inspired resort is a winter wonderland. 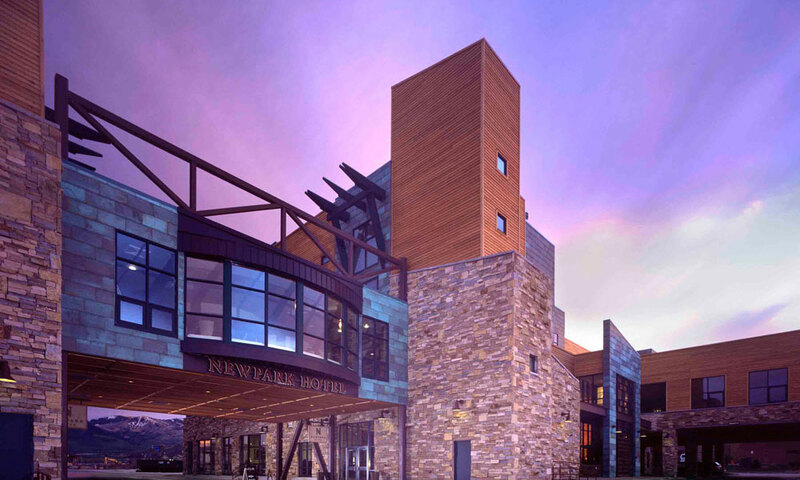 Located outside of Park City in the small town of Midway, this four-season hotel has everything you could possibly dream of for a vacation including an indoor pool, an outdoor pool, an indoor/outdoor swim tunnel, a two-story hot tub, tennis courts, oversized chess, and goat feeding. In the winter, the Heber Ice Castles and Crater Hot Springs are a half mile away, both are a must-see for the area. Plus, check out Zermatt Utah’s long list of events. There’s one on every holiday plus a few extras and they range from breakfast with Santa to Easter egg hunts. If you want to ski, the resort offers a free shuttle to both Park City ski areas. Sometimes your vacation calls for a classic and comfortable hotel. For those times, there’s Hyatt Place Park City. This newly built hotel is just down the road from the Cabriolet at Canyons Village. The dependable brand-name hotel is predictably clean and offers all your favorite Hyatt amenities such as a delicious complimentary breakfast, a fantastic pool, and pet-friendly accommodations. Drive under ten minutes to both Main Street and Kimball Junction to explore the plethora of Park City attractions, restaurants, and activities outside the ski resorts or enjoy all the Canyons Village base area has to offer including free spring and summer concerts, several restaurants, and plenty of shopping. Ready to start planning your family vacation? Enter your search dates above to search our collection of hotels. Plus, read our blog post about the Top 8 Park City Family-Friendly Hotels and explore our How To Family page for suggestions on what to do with your kids in the area.